Develop Schedule process is the 6th process of Time Management Knowledge Area. 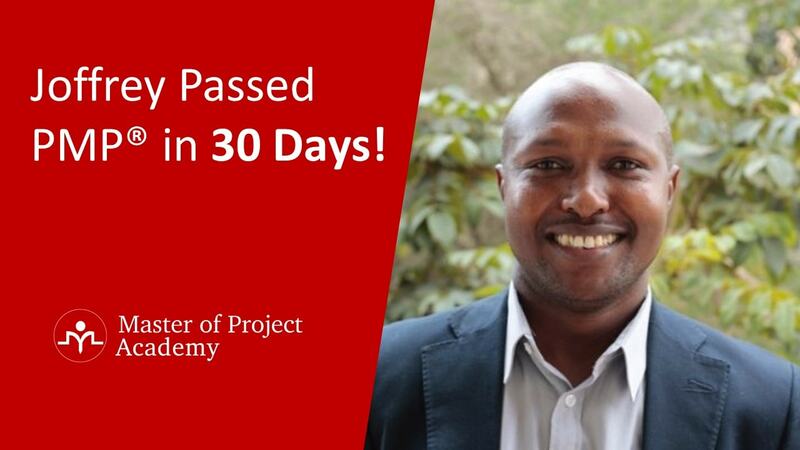 As explained in the project management professional training, during the previous processes of the time management, activities have been determined, activity relationships were described, activities were put in sequence, activity resources and activity durations have been estimated. During develop schedule process, outputs of the previous process are organized to produce the final schedule of the project. 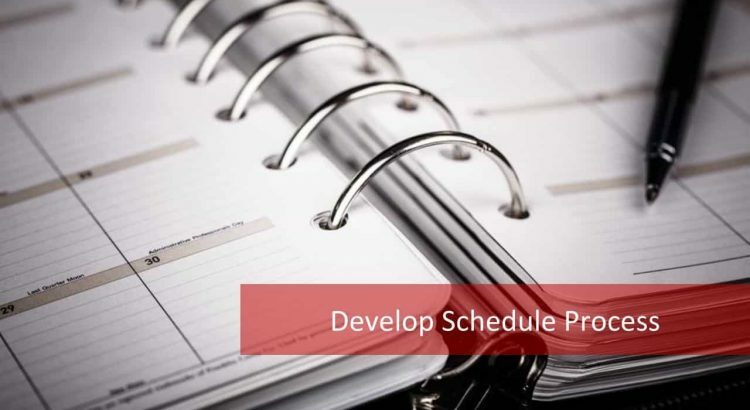 In this article, you are going to have a detailed knowledge about the definition of develop schedule process and the objectives of develop schedule process. Finally, we are going to go through a real life example to explain the develop schedule process better. 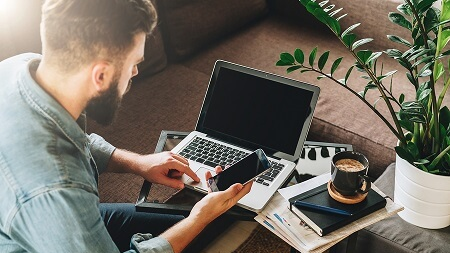 In order to ace in the PMP exam questions, include develop schedule process in your PMP exam training, as well as all the other processes of Time Management. Now, let’s start with the main purpose of the develop schedule process. What is the objective of the Develop Schedule Process? 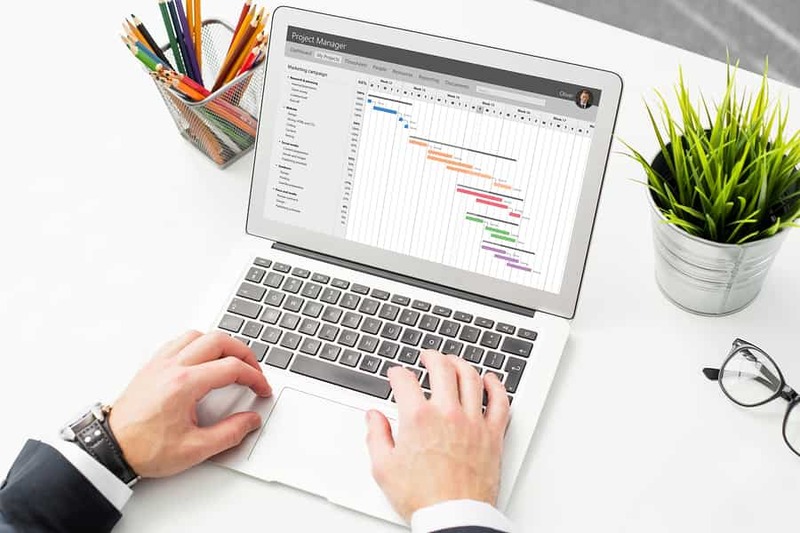 Develop Schedule is the process of analyzing activity sequences, durations, resource requirements, and schedule constraints to create the project schedule model. At the end of develop schedule process, you will have a finalized project schedule which includes the start and end dates of each project activity, the relationship of activities, the resource of activities, the total duration of the project etc. What are Develop Schedule Process Outputs? 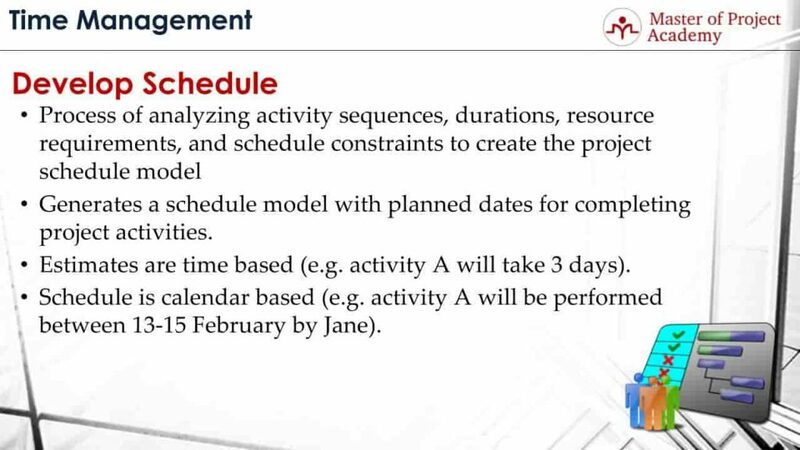 Develop Schedule process generates a schedule model with planned dates for completing project activities. After activities are put in order, resource and activity relationships are defined in the schedule, all planned start and completion dates of project activities will be determined in the project schedule. Back-end development of the login screen is 3 days, etc. 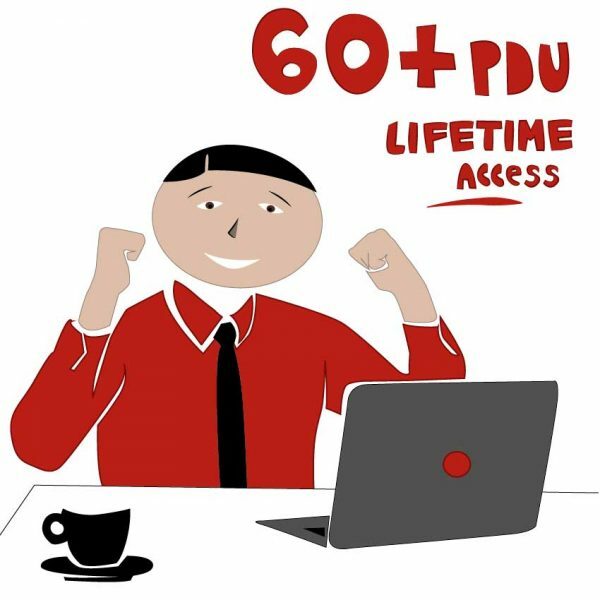 Note that, usually, same estimation units are used in all schedule plan. For instance, all activities are estimated in days, or in hours, or in weeks, or in months. Project Schedule is calendar based. After all the activities are put on schedule in an organized way, start and end dates of activities will be determined. For instance, activity A will start of 13th of February, will end on 15th of February and performed by Jane. Start and end dates of each activity will be visible on schedule respectively. Project scope statement: Project scope statement is at the top of the list of what you need for develop schedule process, no doubt. Because your project’s main goal is completing the project scope on agreed time and budget with the agreed quality. Therefore, project scope statement plays a vital role in develop schedule process. Activity list: Activity list shows the individual activities that need to be performed to complete work packages and respectively the overall project scope. In the end, project schedule includes the ordered and organized project activities. Therefore, activity list is a critical input for develop schedule process. Network diagram: Network diagrams show the flow of project activities from the start of the project until the end. 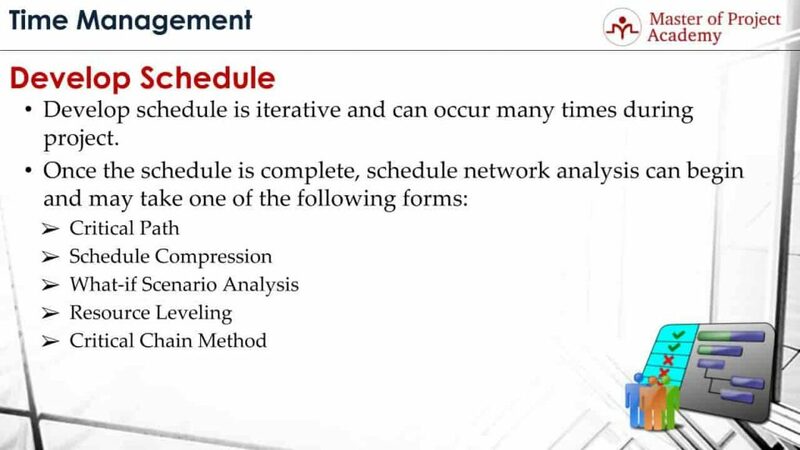 Therefore, while defining the interrelationship of activities in develop schedule process, it will be critical to have network diagram in hand. Activity duration estimates: They provide the time estimates for each activity. After interrelationship of activities is put on the project schedule, once the time estimates are defined in each project activity, start and end dates of each activity will be determined respectively during the develop schedule process. 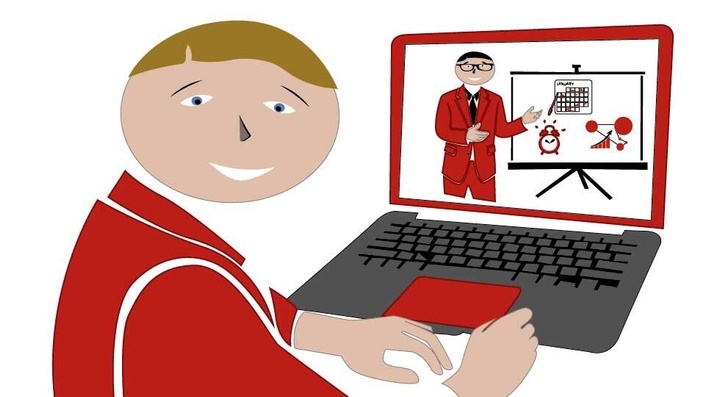 Activity resource requirements: They will help to show what materials will be needed to complete an activity or which project team member or supplier etc. will be performing an activity. This is why it’s an important input for develop schedule process. 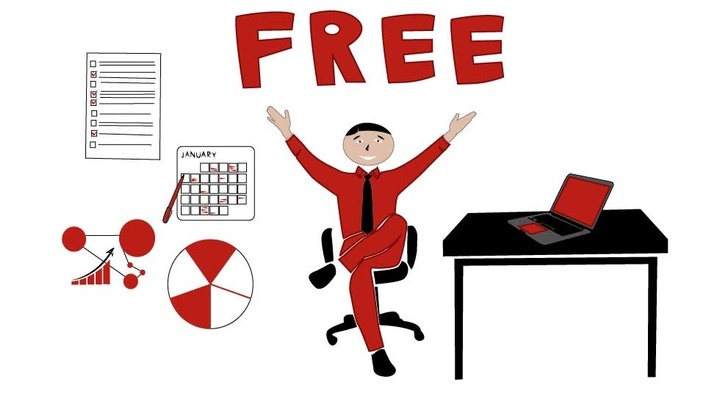 Resource calendars: They show the availability schedule of a project resource. 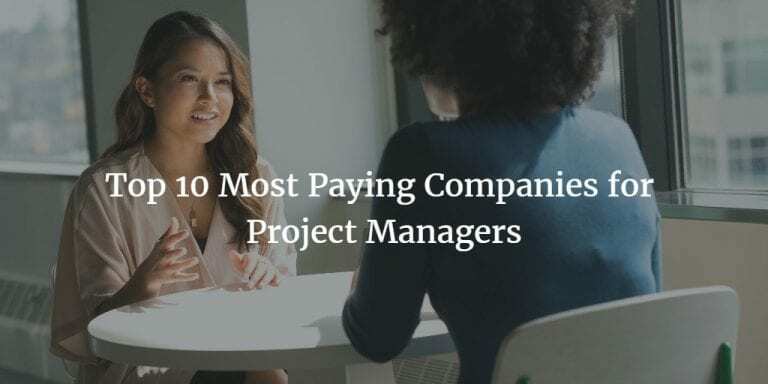 For instance, a software developer might be going for a vacation during your project, or one of your project resources might be working part-time. 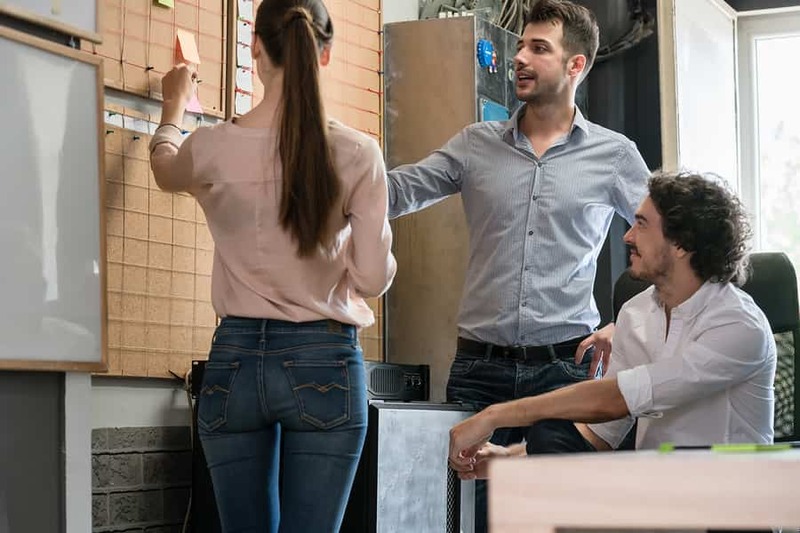 In order to define exact planned start and end dates of each activity, you need to take into account the resource calendars of your team during develop schedule process. Company calendar: Company calendars generally include working and non-working days of a company annually. It also includes public holidays as well. Or if there is a special info day or conference day that whole company will not work, these are defined in the company calendars. 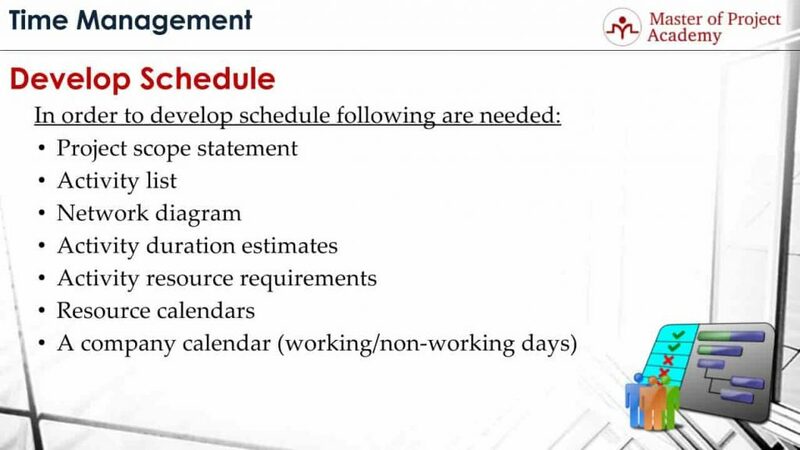 During the develop schedule process, when completing the project schedule, company calendars must be taken into account. When Should Develop Schedule Process Occur? Develop schedule is iterative and can occur many times during the project. Because, based on the actual results, you need to update your schedule. For instance, let’s consider that estimation was to complete an activity in 5 days. But during execution, it took 8 days to complete. You need to update this in the project schedule and all remaining activities must be updated accordingly to see the new project schedule. Otherwise, the schedule will be misleading. Or, if you have an approved change request, you need to put regarding project activities for that change request into your project schedule, and they will extend your project duration. What Happens After Develop Schedule Process? Critical Path: Critical path method is the most important schedule network analysis technique. It shows the shortest duration that a project can be completed. Schedule Compression: Schedule compression will help you to compress the project activities and complete the project in a shorter duration. What-if Scenario Analysis: What if Scenario analysis helps to simulate what could happen based on some parameters and generally simulated by computer programs. Resource Leveling: Resource leveling is used to produce a resource-limited schedule. Although some activities in the project are not technically related to others, you might need to wait to start a new activity since there is not any available resource. Resource leveling will help to optimize resource usage in a project and complete the project in the shortest time. Critical Chain Method: It is another method in which a network diagram is created, the resource dependencies are added and finally the buffers are added to critical tasks. Let’s go through a billing system project to give a develop schedule process example. Let’s assume there are 4 tasks under invoicing screen work package. At the end of the develop schedule process, you will have an end-to-end flow of project activities with start and end dates. For our sample project, the project schedule will be as follows. Analysis of invoice screen will start on 1st of January. 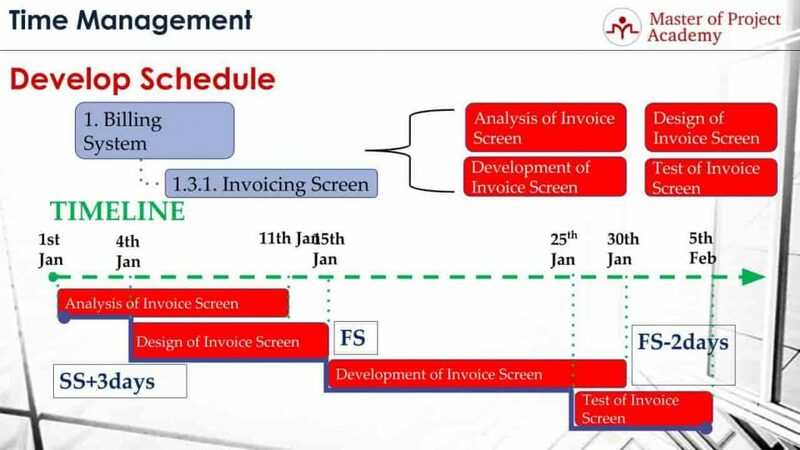 3 days after the analysis of invoice screen started, the design of invoice screen will start on 4th of January. There is a start-to-start plus 3 days’ relationship between these two activities. Because, in order to start the design, analysis of the screen must have come to a certain level before. The design of invoice screen is completed on 15th of January. Right after that, the development of invoice screen starts. There is a finish-to-start relationship because, in order to start development, technical design of the screen must be complete and clear. The last task, the test of invoice screen starts just 2 days before the completion of the development of invoice screen. 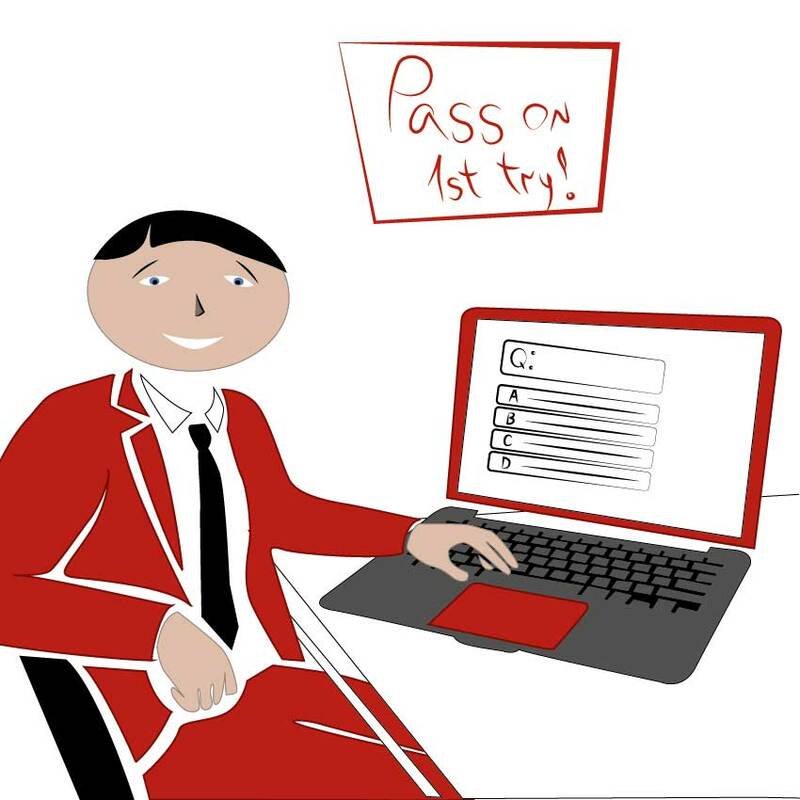 Ideally, the test should start after development is completed. But in the real-world project schedules, testing of a development activity starts after the development reached around 80% completion level. This is done to shorten the duration of the project. This is how it is planned in our example as well. And the testing finishes on the 5th of February.